January 26th Sea Vu Play presents: Australia Day! Come hungry and get a cold beer on arrival on us. BBQ like you've never BBQ'd before for 300K. 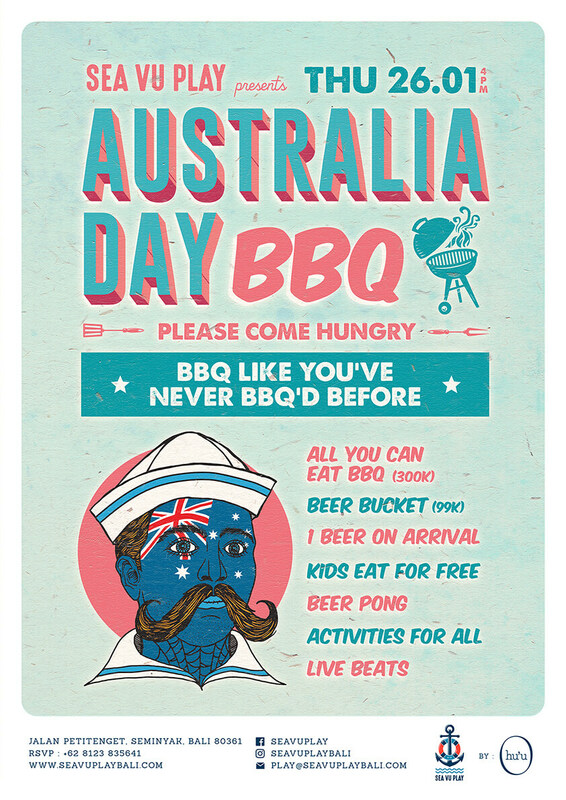 All you can eat BBQ, cold beers & beats mate..